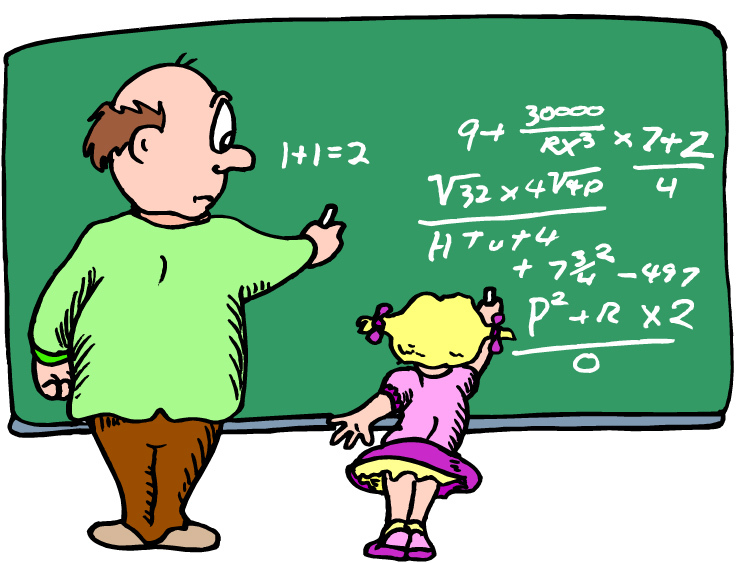 Home Teaching & Learning How do You do Digital Math? How do You do Digital Math? I have found and shared out many ways that teachers can use technology in a 1:1 environment. I have shown ways that just about every teacher in every subject area could go paperless except for one. I have tweeted and written blog posts for help to find resources and ideas to for this one subject area and have gotten pretty much next to nothing in return. The subject I am referring to is math. For ELA, Reading, Social Studies, Science, Art, Foreign Language, and Music we can use many programs and webtools. Students can type papers, do research on the web, read books online, create presentations and interactive photos, find pictures, make infographics, create scripts and direct there very own videos on multiple topics, they can even let Google pronounce and define words for them. The possibilities to teach, learn, research, and present all of these subjects are endless without ever passing out one sheet of paper. Now lets get back to the math. How do you work out a good old multi-step math problem without good old-fashioned paper and pencil? I know students can watch good instruction from a teacher made video or from Khan Academy. Students can do some drill work by playing a math game online, which is great for reinforcement. They could even create an avatar or a movie with a script in which two characters explaining the steps of a math problem. But my big question still is, how do realistically have students show their work for big math problems such as long division or multi digit multiplication on a tablet or computer. And if you have a way, is it easier and quicker for the teacher and students than just using a pencil and paper? I want to win over my math teachers, but this is one of my biggest obstacles if not the biggest. Again, I know there are ways to incorporate technology, but not as often as the other subjects. Math gets the short end of the stick and it is not as fun as the other subjects because of the limits of the technology. All students do not have wireless slates they could use to show work for a math problem. Does anyone have some great ideas, tools, or methods out there that hey would be willing to share that work? If so, please share with me. Previous articleLooking for an Xtranormal Replacement? I graduated from the University of Southern Indiana in 1993. I got my masters degree in education in 1999 from Indiana Wesleyan University. I taught 6th, 7th, and 8th grade at Helfrich Park STEM Academy for 17 years. While there, I was the technology coordinator, student council rep, book coordinator, and I ran the announcements on the television studio. I taught reading, English, mathematics, social studies, science, and health in all three grade levels. In the summer of 2010, I worked for the IDOE to help implement the Indiana Science Initiative. I led several workshops around the state helping teachers integrate notebooking and hands-on science kits in their classrooms. During the 2010-2011 school year, I taught fourth grade science at Fairlawn Elementary School. I am currently an eLearning Coach for an elementary school, two middle schools, and a high school. I love technology and I love teaching and helping teachers. Put the two together and you have my dream job. I am very excited about being an eLearning coach and helping others implement technology into their daily instruction. Any word on this? I would love some suggestions for my classroom.